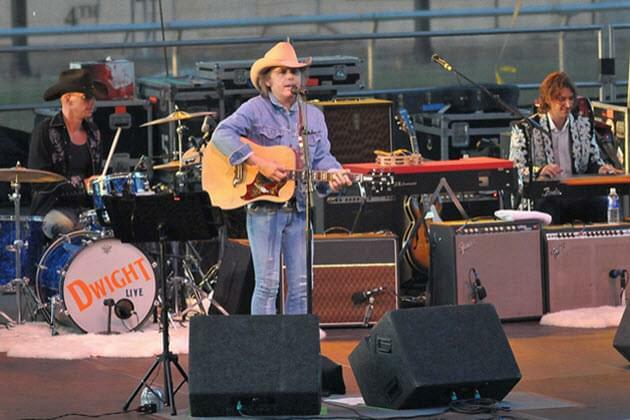 Grammy Award Winner, Dwight Yoakam, to Play Peoria Civic Center Theater! PEORIA – 21-time award winning country star Dwight Yoakam plays the Peoria Civic Center Theater on Wednesday, May 22 at 8:00 pm. Yoakam has sold more than 25 million albums worldwide and is a 21-time nominated, multiple GRAMMY Award winner. He has 12 gold albums and 9 platinum or multi-platinum albums, with five of those albums topping Billboard’s Country Albums chart and another 14 landing in the Top 10. Nearly 40 of Yoakam’s singles have charted on Billboard, with 14 peaking in the Top 10. Buy tickets HERE with the code word CADILLACS!